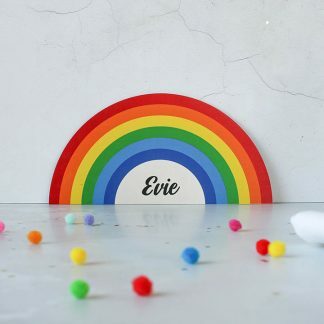 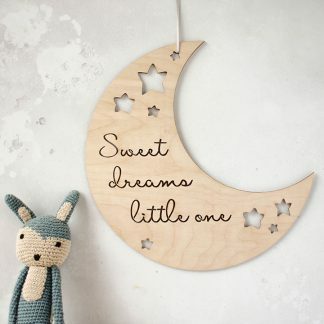 We think these would make perfect unique baby shower or christening gifts, if you would prefer a personalised version just let us know and we’ll see what we can do. 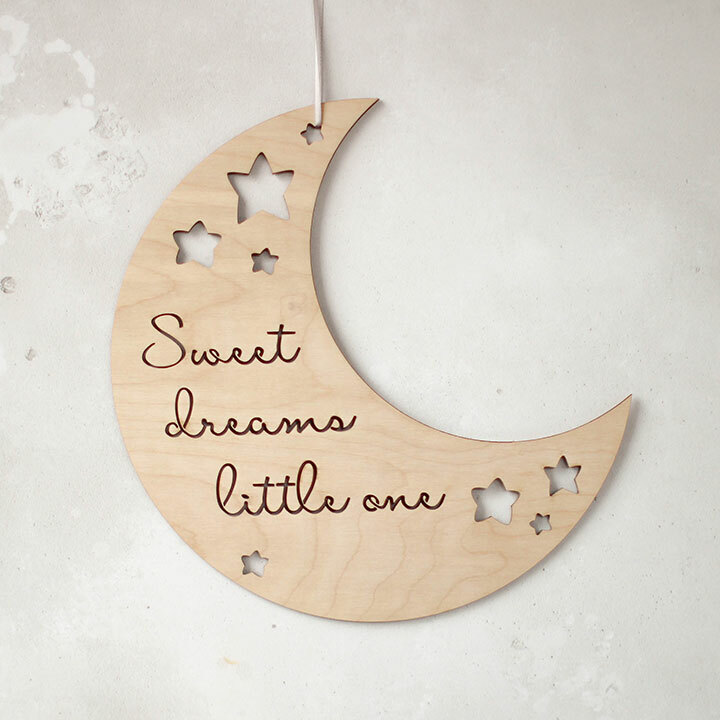 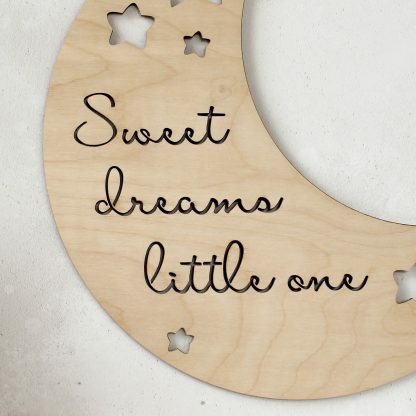 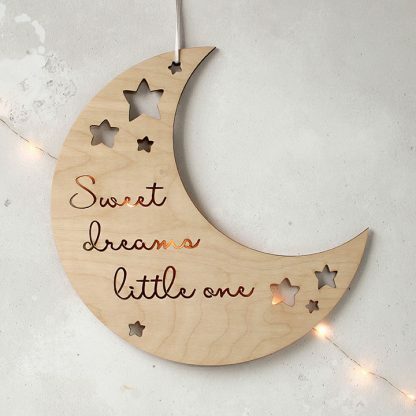 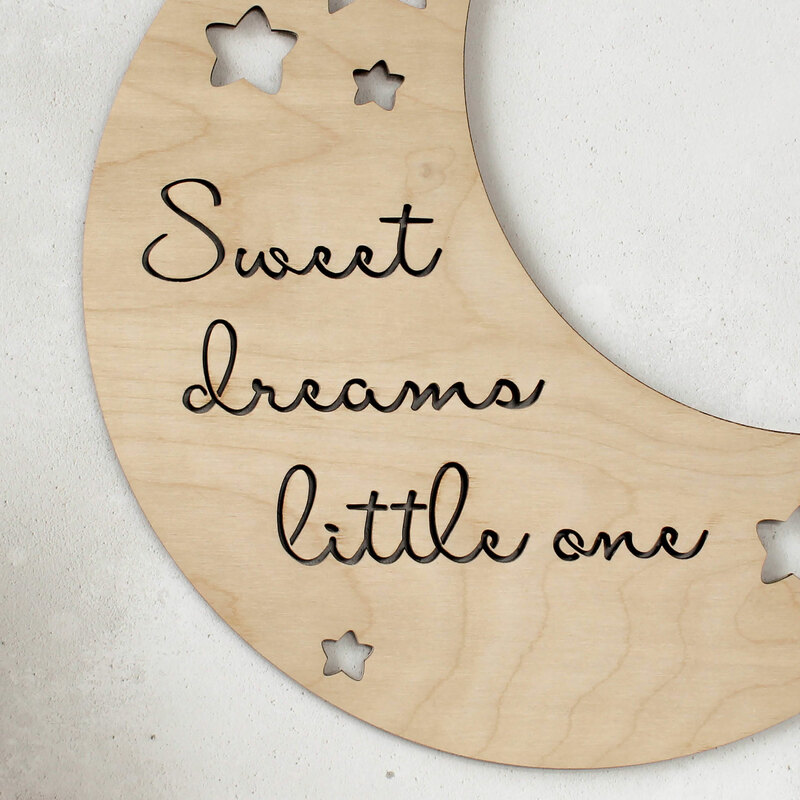 Creating a moon and stars nursery theme for your little one, our wall plaque designed and created in our Hampshire workshop will complement your design perfectly. 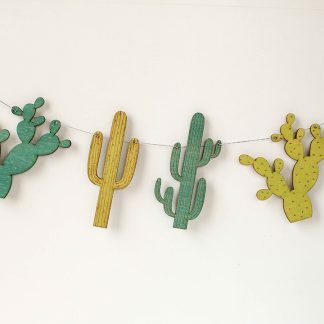 Cut from plain, sanded Birch, you can easily paint in your choice of colour if preferred.